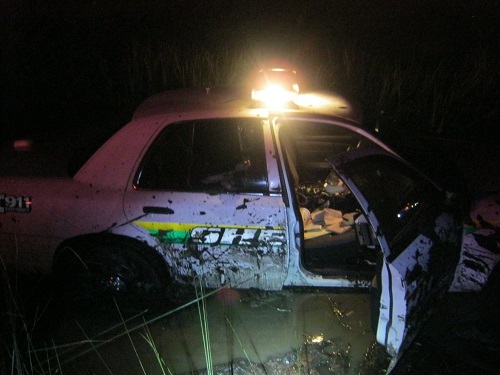 HERNANDO BEACH – A deputy crashed his patrol car into a canal when he swerved to avoid a deer, the Hernando County Sheriff’s Office said. Deputy David Merced was not injured in the crash. His vehicle was towed to the Sheriff’s Office garage for possible repairs. The crash happened about 12:03 a.m. Monday (July 30) on Shoal Line Boulevard. Merced, who was driving north on Shoal Line, had just cleared a call for service when he spotted the deer. He swerved to avoid hitting the deer. 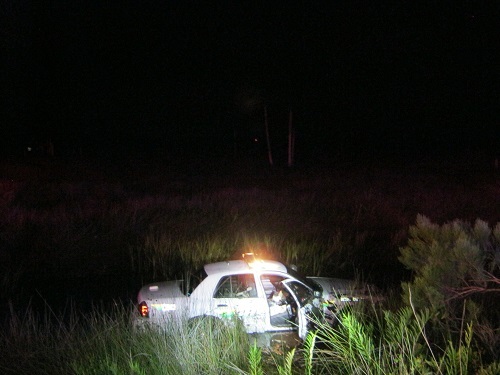 In doing so, he veered off the west side of the roadway and into a canal, just north of Petite Lane, in Hernando Beach. His patrol vehicle was partially submerged. Emergency personnel helped Merced out of the vehicle and onto the roadway.